Kim Koopersmith ’84 received the Medal of Achievement, the highest honor bestowed by the Fordham Law Alumni Association, at the 70th Fordham Law Annual Luncheon. Mark S. Indelicato ’85 has been honored by Continental Who’s Who as a Pinnacle Professional for his work at Hahn & Hessen LLP. Anthony Suarez ’93 has written a book exploring our criminal and political system, as well as spending his life serving the public. Learn more. Hon. 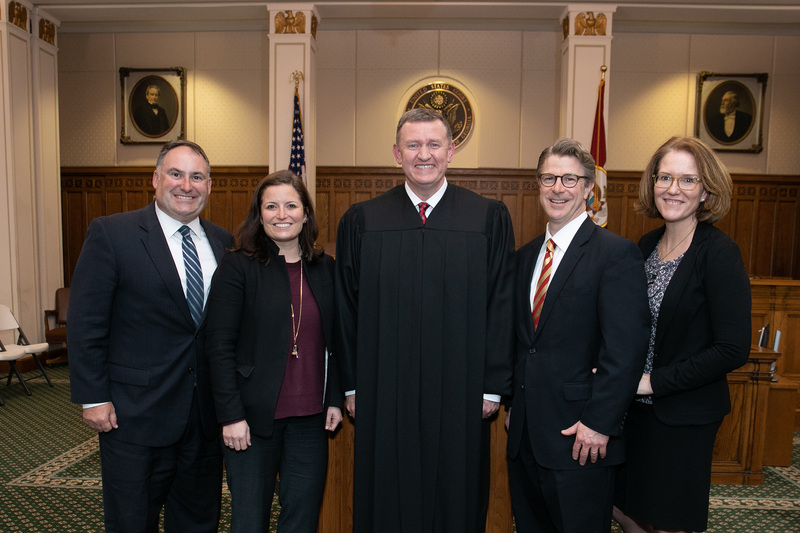 Christopher Ray ’94 has been sworn in as United States magistrate judge for the Southern District of Georgia. Azeema M. Batchelor ’04 has a new position as associate director of business development at Wiley Rein LLP. Benjamin Barros ’96 was elected to serve a three-year term on the executive committee of the Association of American Law Schools (AALS). Learn more. Chris Torrente ’00 has been elected to join the executive committee of Kirland & Ellis, LLP. Benjamin Allee ’03 has joined Yankwitt LLP as partner in its white-collar criminal defense practice group. Joseph Cordero ’03 has been elected to serve on the Fordham Law Alumni Association’s Board of Directors. Afua Atta-Mensah ’04 was honored with the Jane Award from the Metropolitan Council on Housing. McKenzie Livingston ’04 has been elected to serve on the Fordham Law Alumni Association’s Board of Directors. John Owens Jr. ’04 has been elected to serve on the Fordham Law Alumni Association’s Board of Directors. Courtney Harris ’05 has joined Fletcher Tilton PC as an attorney in its business and corporate practice group. Byron Romain ’05 has joined White & Case LLP as partner. Gregory Xethalis ’05 has been elected to serve on the Fordham Law Alumni Association’s Board of Directors. Elisa D’Amico ’06 received the Florida Bar President’s Pro Bono Service Award for 2019 for her pro bono work at the Cyber Civil Rights Legal Project at K&L Gates. 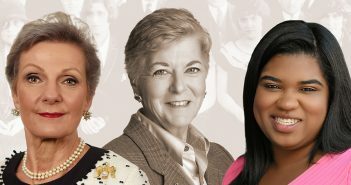 She also received the 2019 Rising Star Award in public practice at the 70th Fordham Law Annual Luncheon. Grissel Seijo ’06 received the 2019 Rising Star Award in the in-house and business field at the 70th Fordham Law Annual Luncheon. Azriel J. Baer ’07 has joined Farrell Frtiz P.C as counsel practicing trust and estates. Lisa Farhman Selzer ’07 has been named counsel at Borah, Goldstein, Altschuler, Nahins & Goidel, P.C. Stephanie Gentile ’09 has been elevated to partner at Cooley LLP and has welcomed a baby girl, Frankie Harlow, to her family. Christina Conroy ’09 has been elected to partner at King Spalding LLP. Katherine Sheridan ’11 has a new position as a assistant general counsel for Cantor Fitzgerald. Alessandra Biaggi ’12 received the 2019 Rising Star Award in the government, public interest, and nonprofit field at the 70th Fordham Law Annual Luncheon. The law firm of Maha Bin Hendi ’13, Maha Bin Hendi Law Firm, was ranked number 1 on Nafes Top 100 Law Firm in Dubai.